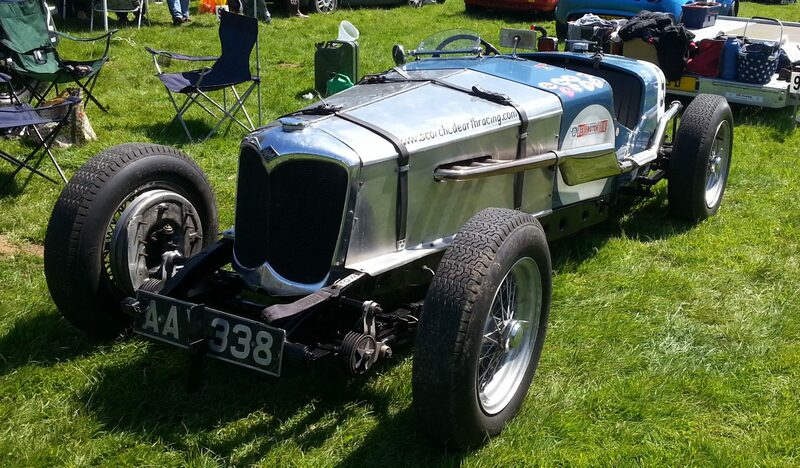 Plymouth Motor Club – Supporting Motorsport in South West England and Beyond. Werrington Entries are Nearly Full Now. Hello and Welcome to The website of Plymouth Motor Club. Plymouth Motor Club is based in Plymouth, Devon and was formed in 1908. We are the the Oldest motor club within the South West of England, and one of the oldest in the Country. As a club we put on many different events throughout the year, all under the regulations set out by Motorsport UK, the governing body of Motor sport in the UK. Many of our events are at a ‘grass-roots’ level and are aimed at getting any motor enthusiast competing or marshalling. The Club Members are interested in all forms of Motor Sport and Compete and Officiate at all levels of Motor Sport from Club level up to International Events. Membership is open to everyone and further details can be found on our Membership Page. We hope that you find Our site of interest and if you would like more information on the Club or Motor Sport then Please feel free to Contact us using the Form on the Contacts Page. Signing on for the Barton Cup 12 Car on April 26th is at the Kings Arms Pub, Tamerton, Plymouth. 7:30pm for a 10 pm start. Map 201 required. Sadly the Comus Cup Treasure Hunt on the 12th did not take place due to a Lack of entries. This months Comus Cup is now set ready for Friday night. Nothing to hard. All set from the Car seat and all the answers are visible in the Headlights, although a Torch will still be useful. Starting from Carkeel Services 7:30pm on the 12th April. The is a Planning Meeting for this years Watergate Bay Hillclimb on Monday 8th April at the Victoria Inn, Roche, Cornwall. 7:30pm. All Welcome. Our members can be found helping and competing at many Motor Sport Rallies across the South West of England and beyond. We helped to Organise and run the Motorsport Carnival at Boconnoc in Cornwall with South Hams and Camel Vale Motor Clubs over the past couple of years. Our Members are also involved with Organising on the Wales Rally GB by filling various rolls suchs as Start and Radio Crews. The Club run a series of 12 Car Navigational Exercises over the year. Usually on the Last Friday of the Month between March and November. More details can be found on the 12 Car Rallies Page. The 2018 Awards Presentation Evening took place on the 19th January 2019 at the Yelverton Golf Club. A good time was had by all after an enjoyable meal. We are planning on returning there next Year. The Clubs premier Event is Werrington Hillclimb which takes place over the first weekend in May at Werrington Park near Launceston, Cornwall. The Club is also a partner Club at the Five Clubs Hillclimb at Wiscombe Park, near Honiton, Devon which takes place at the beginning of September. The Club has been proud to been involved with the running of The Watergate Bay Hillclimb this year. This was the First Closed Road Hillclimb to take place after the recent change in the law to make it easier to allow Roads to be Closed for Motor Sport and other Events. The Club run various Events during the year aimed at helping people get involved in Motor Sport and helping to build your confidence. See the Comus Cup page for more details. We hold Scatter Rally’s during the Spring and Autumn seasons. More Details on the Scatter Rallies Page.